There’s a reason the Keystone Montana Fifth Wheel is North America’s #1 selling luxury fifth wheel for 15 consecutive years. 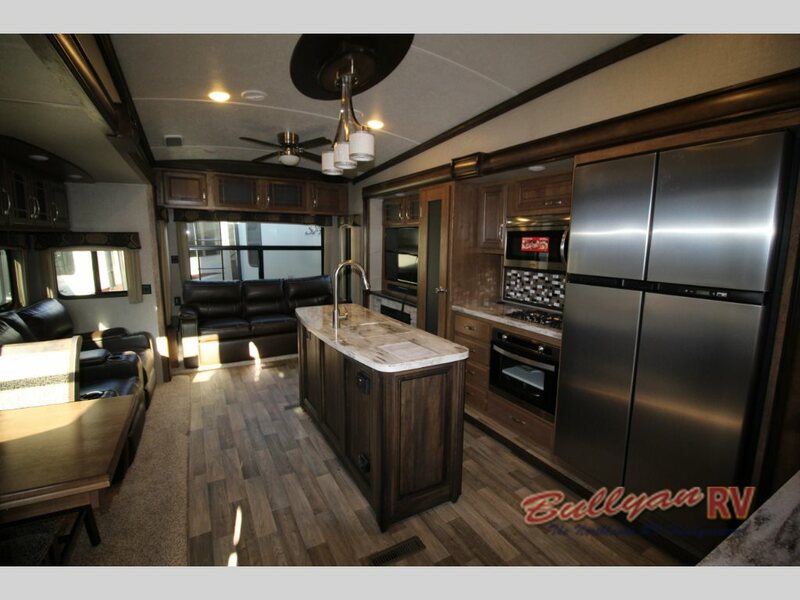 At the forefront of creative innovations, the Keystone Montana offers a high standard of long term RV living and an industry leader. When it comes to cutting edge floorplan designs, you are sure to be wowed by each year’s new Montana models as well as subtle advancements in the tried and true floorplans we know and love. 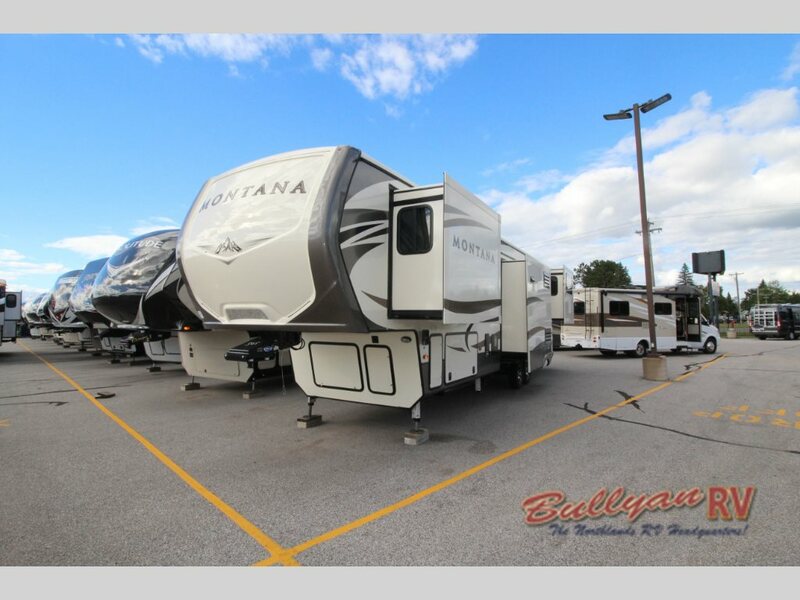 Here at Bullyan’s RV, we carry a large selection of Keystone Montana And Keystone Montana High Country Fifth Wheels at unbelievable savings. 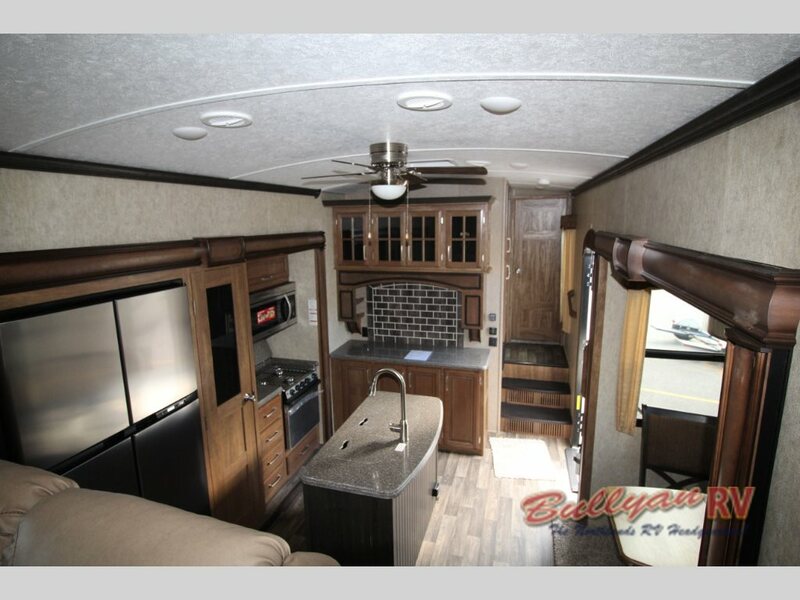 From the popular new, Montana 3820FK front kitchen model for foodies, to the Montana 3790RD rear den model for entertaining, you are sure to find a floorplan that is ideal for your specific travel needs. The Montana leads the competition in luxury and upscale furnishings. Your RV home away from home should meet your comfort needs from the start to end of the day and Keystone Montana does just that. Wake up refreshed thanks to the Montana’s irelax high density mattress. 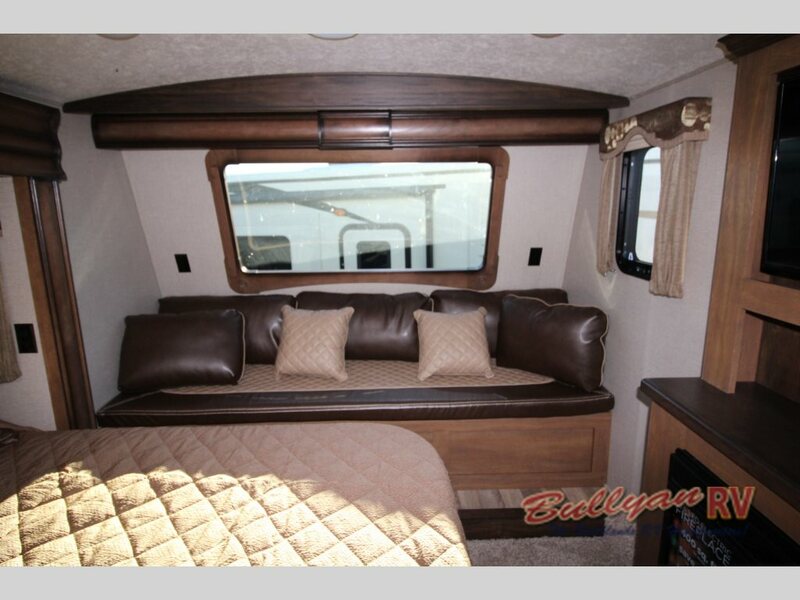 Models such as the Montana 3810MS provide an extra large master suite with a window area lounge space with storage beneath. This is a perfect reading nook or spot to relax at the beginning or end of the day. Opposite the bed you will find a second fireplace making this a cozy retreat. The Montana also offers glamorous kitchen designs that are sure to please. Find your inner chef and whip up delicious creations using high quality components and appliances such as solid surface counter tops, high rise faucet with sprayer, 18 cu/ft 4 door or french door refrigerator, range with oven and convection microwave. 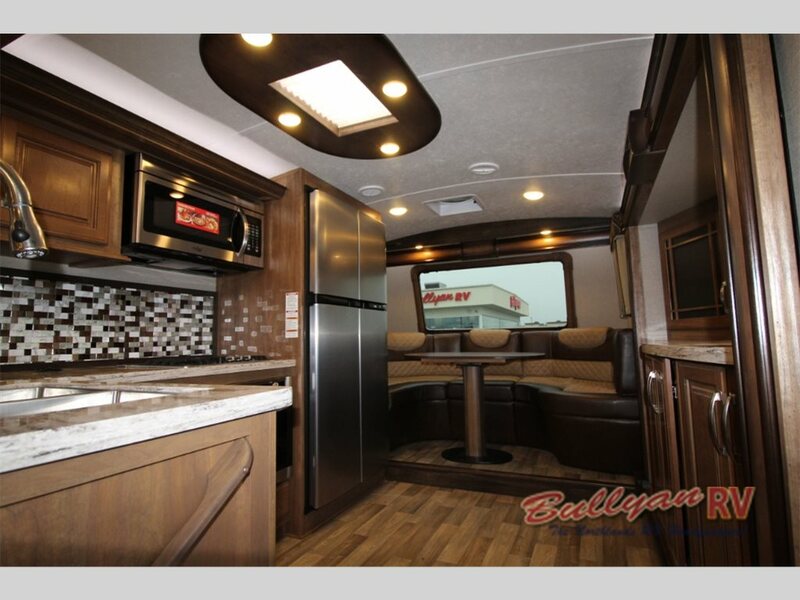 You will have a blast entertaining new and old friends in the Keystone Montana. 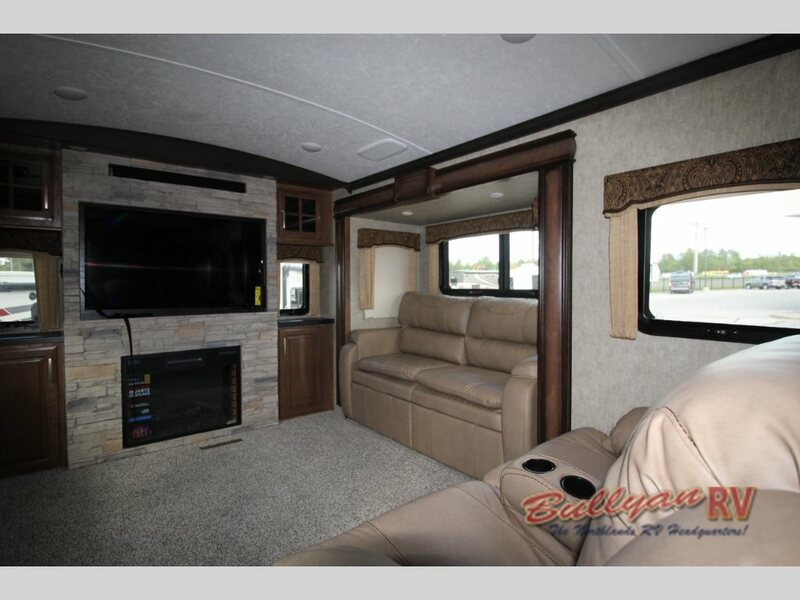 There is plenty of room for everyone to stretch out and relax such as in the Montana 3790RD Rear Den model. The seating’s horse shoe arrangement ensures all your guests the perfect view of the fireplace and large 48″ HD LED TV. 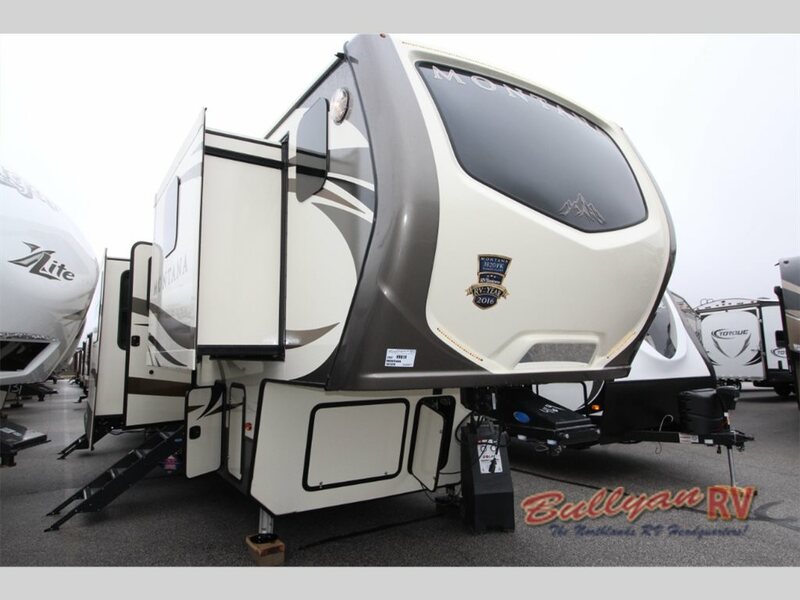 To tour our large selection of Keystone Montana Fifth Wheel floorplans, Contact Us at Bullyan RV or visit us at Our Location and we will assist you in finding the RV of your dreams!